The Doha round of trade talks has long dominated the agenda of the World Trade Organization (WTO). An urgent priority for the organisation’s 157 members, however, is to appoint a new director general to replace Pascal Lamy, the much-respected former EU trade commissioner who has led the Geneva-based trade body since 2005, and who is stepping down in August this year. Over the coming months, WTO members must also make sure that a ministerial conference in Bali at the end of the year can reach agreement on a small package of “early harvest” deliverables from the long-running Doha round. The focus is on clinching a deal on trade facilitation – a move that Lamy says could stimulate the US$ 22 trillion world economy by more than US$1 trillion – as well as on special measures for least developed countries. First, however, the WTO must select a new director general to lead the organisation for the coming four years, a task made more difficult by the continuing deadlock on Doha. The new man/woman who takes the helm of the WTO faces the challenge of revitalising the long-term trade liberalisation agenda while also ensuring short-term results in time for the Bali meeting. Much has changed on the global economic stage since the Doha talks were launched in the capital of Qatar in November 2001. The world economic recovery remains fragile, protectionism continues to be a threat even as global economic inter-dependence grows, the Group of 20 nations is a more powerful force in global affairs (China joined the WTO in 2001) and so-called “new” topics such as investments and competition policy are now firmly on the trade agenda. 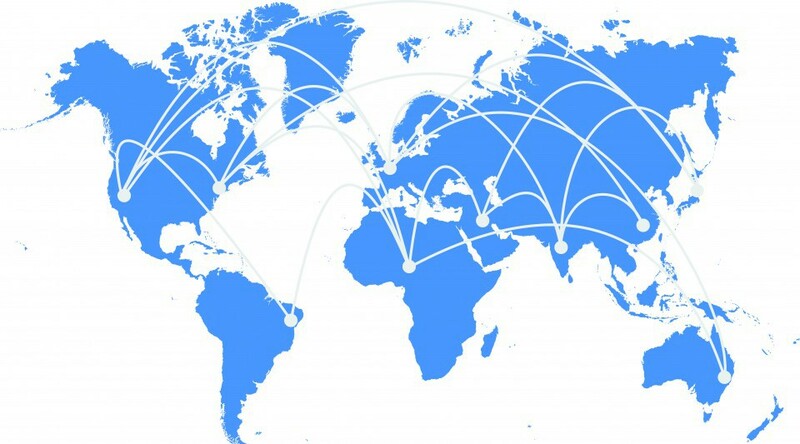 The proliferation of regional and bilateral trade deals, meanwhile, continues to distract from the multilateral trade agenda – despite hopes that these agreements will be transparent and inclusive and become “building blocks” to boost global free trade. Given the challenges facing the WTO, it is heartening to see that candidates from nine countries have thrown their hats in the ring to succeed Lamy. Under WTO rules, members have until the end of May to decide on the right person for the job. It’s a great line-up. A majority of the candidates are from developing countries and, for the first time, three women are in the race. So far only men have held the WTO’s top post, and only one previous director general, Thailand’s Supachai Panitchpakdi has been from a developing country. The final set of nominees includes three candidates from Latin America: Roberto Carvalho de Azevêdo, Brazil’s current ambassador to the WTO; Anabel González of Costa Rica, who is her country’s current trade minister, and Herminio Blanco, Mexico’s former minister of trade and industry. From Asia, Mari Elka Pangestu, who is Indonesia’s Minister of Tourism and Creative Industry and was trade minister from 2004-2011, and current South Korean Trade Minister Taeho Bark have been put forward by their countries. Kenya has nominated Amina Mohamed, the country’s former WTO ambassador, while Ghana has presented Alan John Kwadwo Kyerematen, former minister of trade and industry. New Zealand’s Minister of Trade, Tim Groser and Ahmad Thougan Hindawi, former trade and industry minister of Jordan, are also vying for the position. The nine candidates have already addressed a closed-door meeting of the General Council – the organisation’s highest decision-making body outside of its ministerial conferences. The selection and appointment of the new trade chief will follow consultations to be held in April and May and the final selection will be made by consensus, no later than May 31. The nominee will take over at the WTO on September 1. Choosing the right man or woman for the job will not be easy. Of course, qualifications, experience and competence should be the deciding factors in choosing the new head of the WTO. But in the real world of horse-trading and strategic alliances, other factors – such as geography, gender and whether the candidate has held a ministerial post – will play an equally pivotal role. The top slots at the International Monetary Fund (IMF) and World Bank have traditionally been held by a European and an American, respectively, as the result of a “gentlemen’s agreement” between decision-making members of the two Bretton Woods organisations. This is the case at the moment, with France’s Christine Lagarde at the IMF and Jim Yong Kim from the US at the World Bank. Further complicating the WTO selection process is the fact that the search is also on for a new head for the United Nations Conference on Trade and Development (UNCTAD). Speculation is that an African will be selected for the post. The next WTO head must be able to drive forward an organisation which has lost much of its lustre in the last few years. He or she must be a champion of free trade, able to keep protectionism at bay and also play bridge-builder between the concerns of emerging economies and the priorities and interests of developed countries. On a personal level, the new WTO chief must be an honest broker but also a pragmatist who can adapt the organisation to new challenges. The focus must be on personal skills and qualifications, passion and commitment. The new man or woman at the WTO must make the case for free trade, not for its own sake but because global trade is the motor of world growth and development and of jobs.